I recently recorded a podcast with Glassdoor’s Joe Wiggins. It’s a TripAdvisor-style employee review and rating community. The Glassdoor community is a reputation management platform for any organization in the business of hiring people, as well as a jobs site. It is used by jobseekers looking to discover what it’s like to work for an organization, or to research salaries and interview questions. You can check out what it’s like to work at Ketchum or interview at one of our offices. Glassdoor reportedly has more than 7.5 million pieces of content such as reviews, salaries, and interview reports, on 340,000 companies. It has 27 million members worldwide and 20 million unique visits a month. If you believe that employees are the most important stakeholder for an organization then Glassdoor is a critical media and organizations would be wise to engage with it as part of their public relations and human resources efforts. Google clearly shares this view. Its venture capital arm, Google Capital, led a $70 million funding round alongside current investors including Battery Ventures, Sutter Hill Ventures and Tiger Global Management. An organization doesn’t need a Glassdoor strategy, any more than it needs a social media strategy, but it does need to respect and engage with the Glassdoor community. Here’s how. Ensure that everyone understands the visions and values of your organization. You can put lipstick on a pig but it'll still be a pig. Glassdoor, and other communities like it, are a bleach to internal communication spin. Have a positive culture and means of capturing and responding to employee feedback. This is best practice internal communications. It’s better to have conversations internally and address issues directly, than have them spill out onto the Internet. Recognise the role of employees as advocates in helping to build your organization’s reputation via social forms of media. That’s not just Glassdoor but other media and communities. It’s incredible that in 2015 many organizations still gag employees on social media. 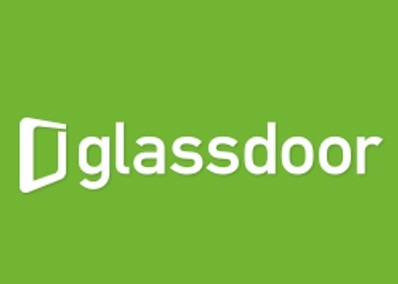 Educate senior managers and your human resources team in the role of Glassdoor as part of their social media training. Everyone in an organization should understand the potential of social media to engage with stakeholders from employees to customers, and from stakeholders to investors. Assign responsibility for Glassdoor to someone within your organization. This is likely to be a social media savvy senior manager with responsibility for human resources. Claim your organization’s free account and start tracking the analytics. Engage with the Glassdoor community and follow best practice community management in dealing with comments, both good and bad. Its human nature that you’ll get some negative comments; deal with them maturely. Consider a paid for account to add additional content to your page. This will feature around the reviews on your page and is a good way to provide visitors with a richer experience. The recruitment industry is fragmenting like many other industries. Consider using the advertising services on Glassdoor as a recruitment channel. It will almost certainly save you money.